Earlier it was Mercedes Benz and now we have Volvo entering the game. Before few days Mercedes Benz announced MB Companion app for Apple Watch, by this they entered the Wearable Tech segment. 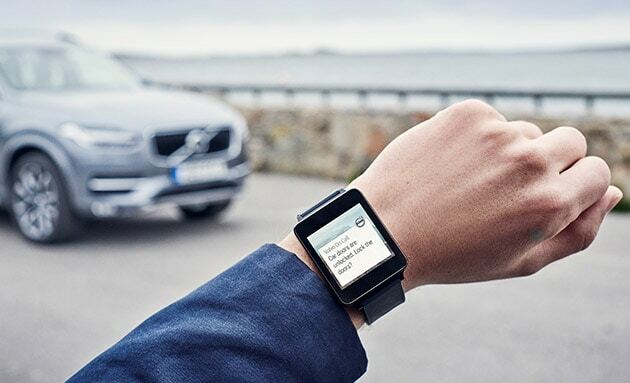 Now Volvo will soon release its On Call app for Android Wear devices and the Apple Watch. This app was already available for smartphones few years before and now it is going to be available for smart watches. Using this app you can remotely lock or unlock your car’s doors, switch on the heater, switch on the air conditioner, check fuel and mileage, etc. Even if you lost your car in the parking lot you can use your On Call app to help you out. You can also send navigation directions to the car from your smartwatch. By any chance if your airbag gets deployed, it will quickly connect you with an operator and then tracks your GPS navigation. Volvo claims that they are the first to offer a complete in-car telematics system. With popular automobile brands entering Wearable tech segment for consumers, they are indirectly converting normal cars into smart cars. I also wish other brands implement the same for budget cars.